PCS Systemtechnik GmbH is a leading German manufacturer of hardware and software for access control, video surveillance, time and attendance recording, and production data collection. PCS offers professional solutions for organizations of all sizes and sectors with its innovative product families INTUS, DEXICON and CONVISION. Our solution partners are specialized software and systems houses offering professional customer solutions in all areas of time management and security technology. Customers from industry, banking, insurance companies, commerce and the service and public sectors appreciate the software independence offered by PCS data acquisition solutions-a highly effective protection for their investment. More than 260,000 PCS data devices are currently installed in Europe with standard solutions from PCS and our software house partners. PCS is a certified SAP software partner and offers SAP customers a successful data acquisition solution-all from one hand. PCS products are distinguished by innovation, design, and reliability in day-to-day use. The quality standard is ISO 9001. The standard for our employees is customer satisfaction. For over 20 years now, we have been dedicated to the development of intelligent Access control, Time recording and Security systems and a comprehensive Hazard management. Meeting the requirements of our 5,000 customers and 10,000 installations around the globe fuels us both with inspiration and motivation. Our passion for this market has made us into one of Europe’s leading companies. 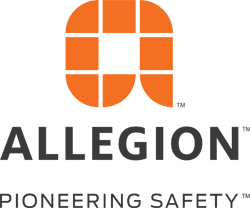 Allegion (NYSE: ALLE) is a global pioneer in security and has leading brands such as CISA®, Interflex®, LCN®, NORMBAU, Schlage® and Von Duprin®. Allegion’s focus is on doors and their surrounding areas, and the company offers a variety of solutions for homes, businesses, schools and other facilities. Allegion is a company with sales of 2 billion US dollars and sells products to almost 130 countries. The company NORMBAU Beschläge und Ausstattungs GmbH was founded in 1954. The development and production of high-quality construction fittings has long been the main business area. NORMBAU has continuously developed into a leading provider of system solutions for stairs and balustrades, design mailboxes, partition walls, barrier-free and sanitary equipment as well as access control systems. Since December 2013, NORMBAU has been a member of the ALLEGION Group. Allegion ensures security at home, at work and on the road. Allegion is a leading provider of innovative security solutions with a spectrum of 25 brands delivered to 130 countries worldwide. Advantech-DLoG is a global player in the field of industrial PC and vehicle terminal solutions for applications with high requirements – on construction machines, forklifts, trucks, mining and industrial manufacturing. The company also aims to make Advantech DLoG a leading global supplier of selected vertical markets such as warehousing, heavy load and fleet management, as well as iRetail. The trade name Advantech-DLoG stands for industry-leading innovations and the highest quality level “Made in Germany”. The quality management system from Advantech-DLoG is certified according to DIN ISO 9001: 2015 and guarantees the high quality of Advantech DLoG products and processes up to partners and customers. Within the extensive support, sales and marketing network, more than 7,800 employees are committed to providing fast time-to-market services to Advantech DLoG customers worldwide. The trade name Advantech-DLoG, introduced in 2010, combines the experience and the leading market position of DLoG GmbH, founded in 1985, and the Advantech Group. DLoG GmbH is a subsidiary of the Advantech Group in Taiwan. Dorma and Kaba – two strong brands have bundled their forces and have been brought together to form a global unit: dormakaba, the trustworthy partner for smart and secure access solutions. With more than 150 years of experience and millions of installed products and solutions worldwide, dormakaba is a reliable partner with a comprehensive range of products around the door. Dormakaba Deutschland GmbH is part of the dormakaba Group. The dormakaba Group is one of the top 3 providers in the global market for access and security solutions. With around 16,000 employees and numerous cooperation partners in over 130 countries, dormakaba operates worldwide. The Group is headquartered in Rümlang (Zurich / Switzerland) and has an annual turnover of more than CHF 2 billion. Datafox develops and manufactures innovative electronic data collection systems that help companies increase their profitability. Through a continuous development, the German company is today the technology leader of embedded systems for time and data acquisition. On this basis, Datafox offers a wide range of ergonomic and practical, mobile or stationary terminals for data collection and solutions for access control. Users can capture the necessary data accurately, easily and quickly with little effort, without the possibility of manipulation. This provides a solid data base for accurate billing, reliable planning, control and optimization.